One of the most exciting happenings in historic Philadelphia is the building of the new Museum of the American Revolution, which will open in the heart of the Historic District this fall. The folks at AmRev are not sitting on their hands until the opening, though. They have been publishing a monthly newsletter, and I have shared some of the installments with you. 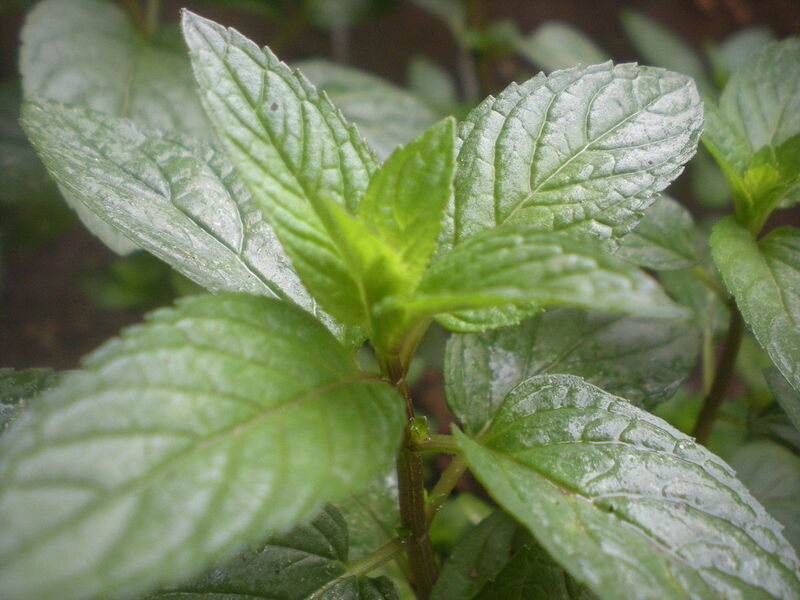 Please enjoy this month’s entry, Founding Gardeners. Ordinarily when we think of the Founding Fathers (Washington, Jefferson, Madison, and Adams) we picture powdered wigs and quill pens-not experimental farmers examining handfuls of manure with glee. 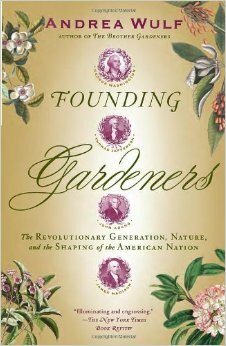 Andrea Wulf’s, Founding Gardeners: The Revolutionary Generation, Nature, and the Shaping of the American Nation, offers us this new lens with which to view the founding generation. Through their opinions on agriculture and their vision for a nation composed of independent farmers, the Founding Fathers perceived brimming gardens and fertile fields as symbols of America’s prosperity and future potential. The following excerpt introduces the Founding Fathers as promoters of an agrarian nation, and as farmers eagerly following the latest advances in technology, sharing new farming methods and exotic plants with each other. The well-tended fields of small farms became a symbol for America’s future as an agrarian republic. John Adams had been the first to provide a legal base for the elevation of agriculture when he chiseled the promotion of useful arts (of which agriculture was regarded the most important) into the constitution of Massachusetts in 1779. It was easy for Adams and Franklin to proselytize based on the idea of the independent yeoman farmer, but it was more problematic for the slave-owning Washington, Jefferson and Madison. On a political and economic level they might have been fighting for their dream of a nation of free farmers, but back at Mount Vernon, Monticello and Montpelier, hundreds of slaves were harvesting wheat and corn, working from dawn to dusk six days a week. Despite this contradiction, Washington, Jefferson and Madison still firmly believed that widespread small-scale farming in principle fostered an independent people. They kept up-to-date with innovative methods by reading gardening and agricultural books, mostly from Britain. In the summer of 1796, Jefferson, for example, consulted Miller’s Gardeners Dictionary in order to find new species of winter vetch for his crop rotation. Washington kept a whole collection of gardening and farming books open on the table in his study, including old favorites such as the Gardeners Dictionary and the latest publications from agricultural writer Arthur Young. Whenever an American agricultural book or pamphlet was published (which was still rare), they enthusiastically bought those too. In the previous summer, for example, they had all eagerly read John Bordley’s Sketches on Rotations of Crops, the first American treatise on the subject. That summer Jefferson was also ploughing his fields with his newly invented “mould-board of least resistance.” He had a knack for mechanics and could spend years brooding over a single invention. The plough, Jefferson believed, was the most important agricultural tool, “to the farmer what the wand is to the sorcerer.” With his inveterate fondness for science, Jefferson had created a mathematically perfect moldboard. When it was finished, his slaves yoked the oxen to the plough and watched their master draw it through the red soil with ease. Did you enjoy this book? Here are some similar titles to check out.